Relations between Prime Minister Justin Trudeau and then-Attorney General Jody Wilson-Raybould first began to fray in 2017 over concerns about her choice to fill a vacancy on the Supreme Court of Canada. 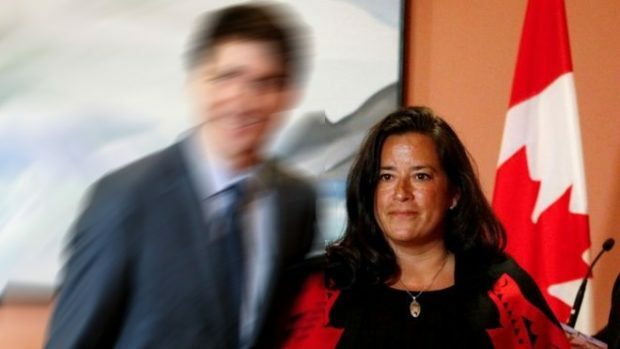 A year before cabinet discussions about a plea deal for Quebec engineering company SNC-Lavalin, Trudeau and Wilson-Raybould disagreed about her recommendation of Manitoba Justice Glenn D. Joyal, sources familiar with the matter tell CTV News. Trudeau was concerned that Joyal wasn’t committed to protecting rights that have flown out of interpretation of the Charter of Rights and Freedoms, particularly LGBTQ2 rights and even abortion access, neither of which are specifically enshrined in the Charter. Famed jurist Justin Trudeau voiced misgivings? No. Justin is a pig. The LPC lied outright, the judge withdrew from consideration because his wife was suffering breast cancer.